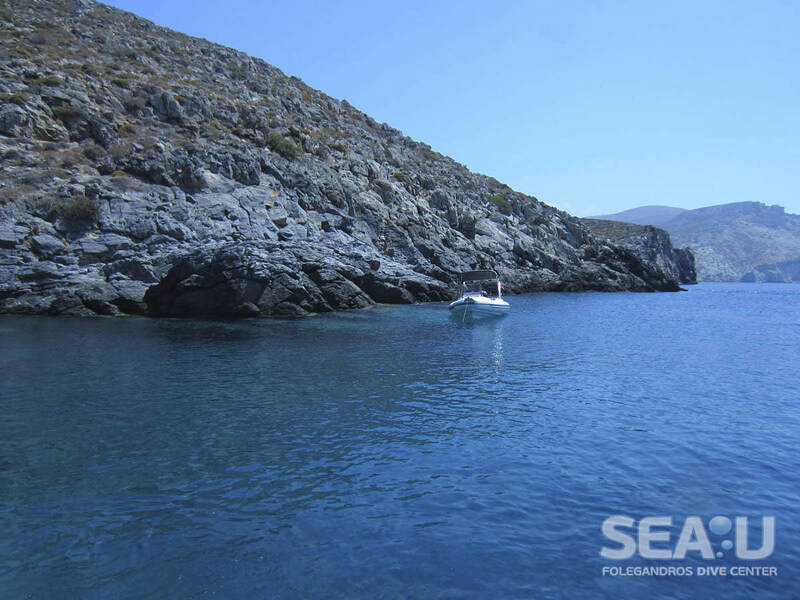 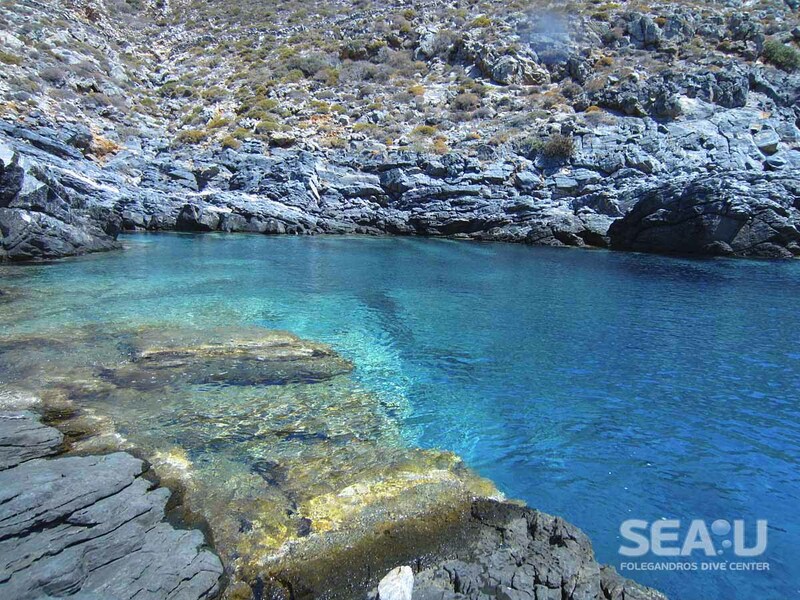 The underwater world of Folegandros hides enchanting images. 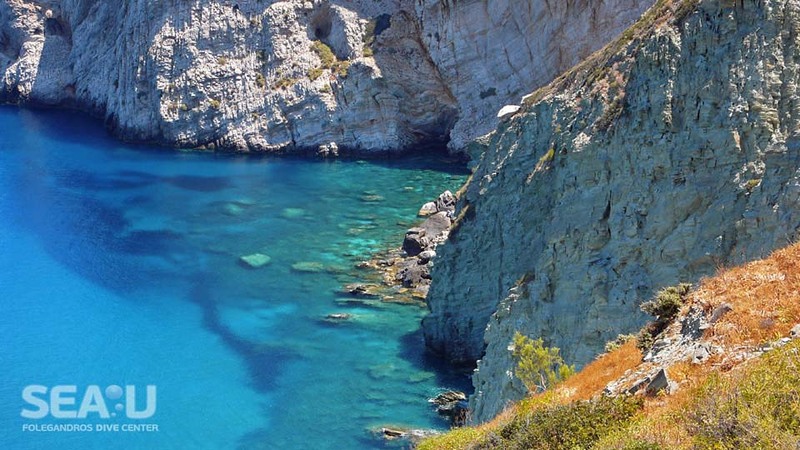 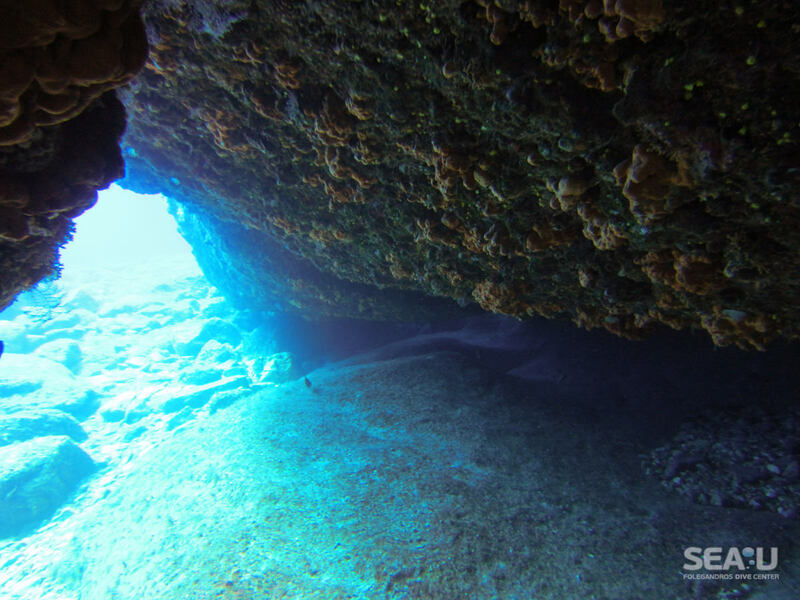 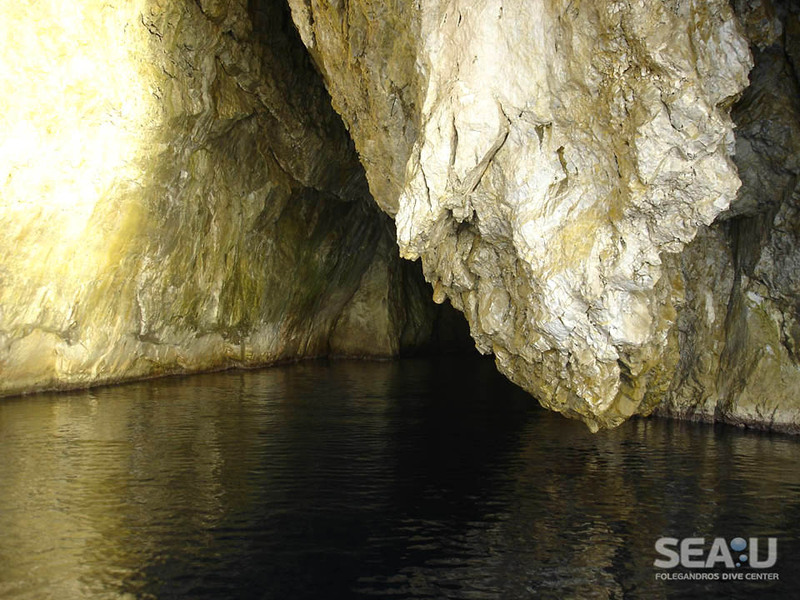 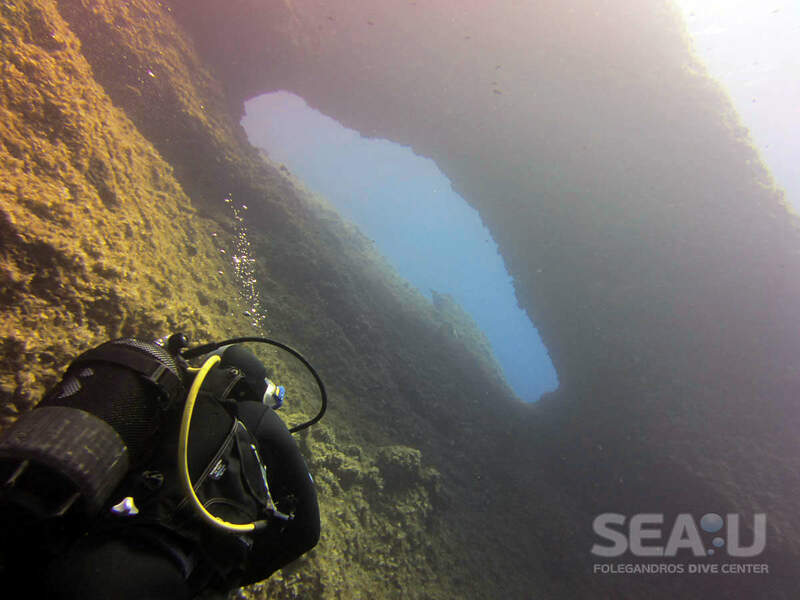 Caves, reefs, walls and the crystal clear water of the Mediterranean Sea compose a magnificent diving destination. 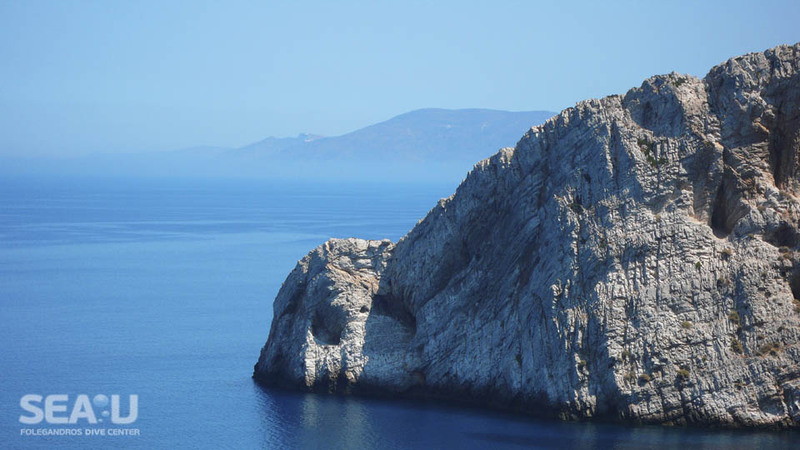 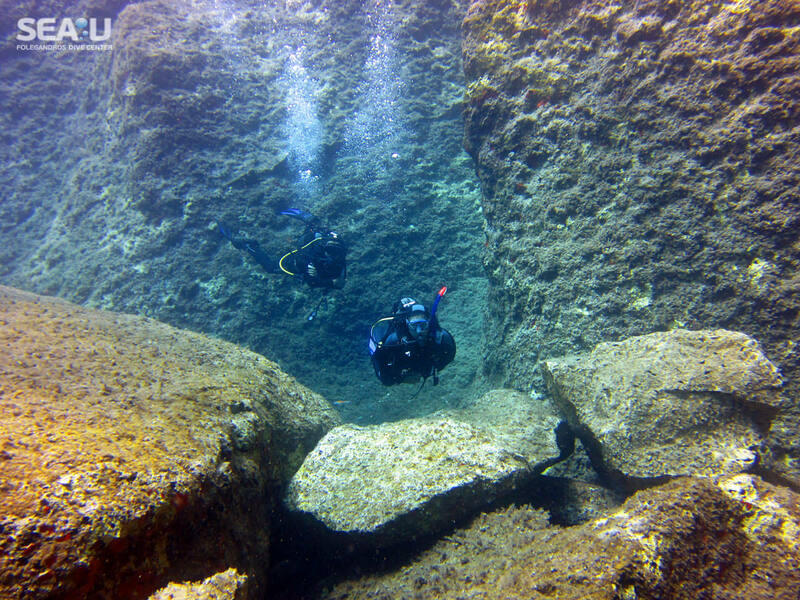 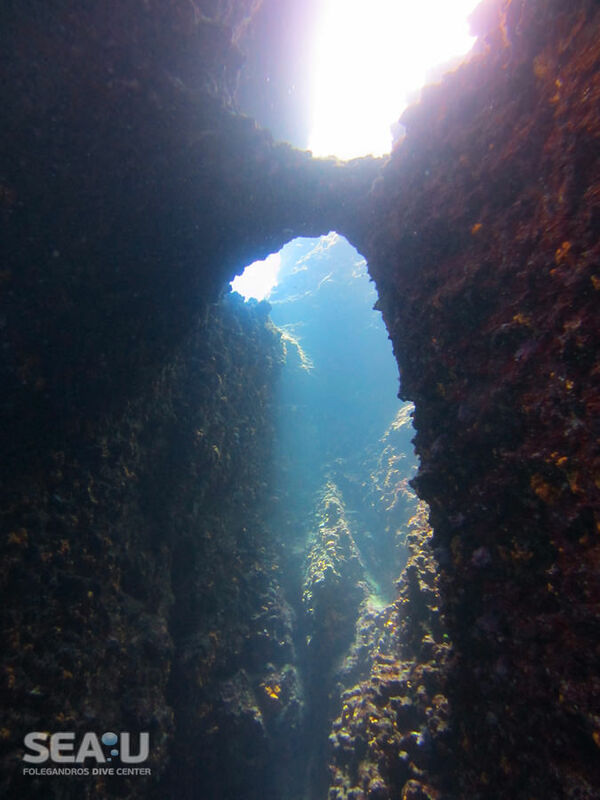 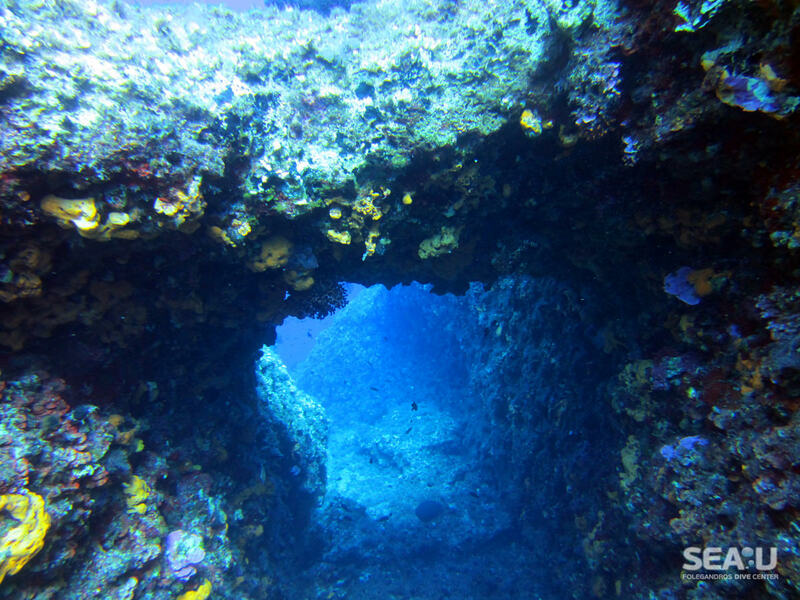 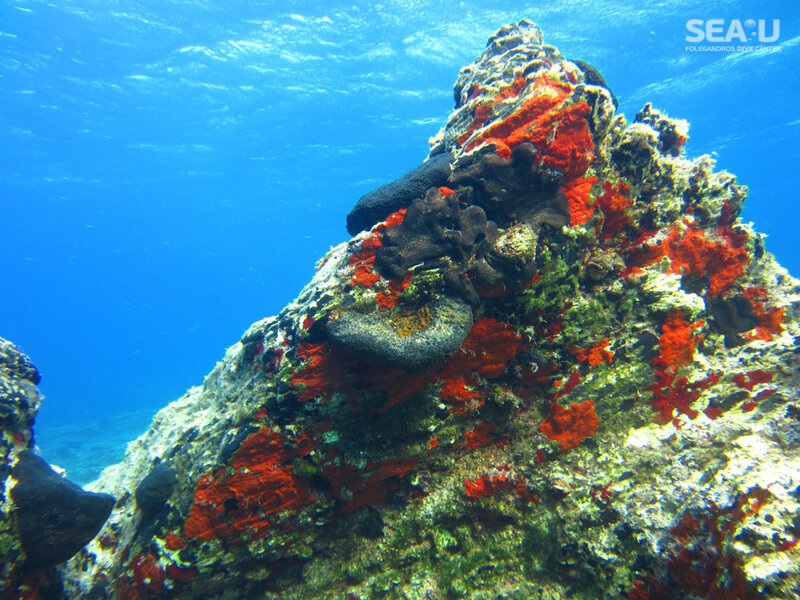 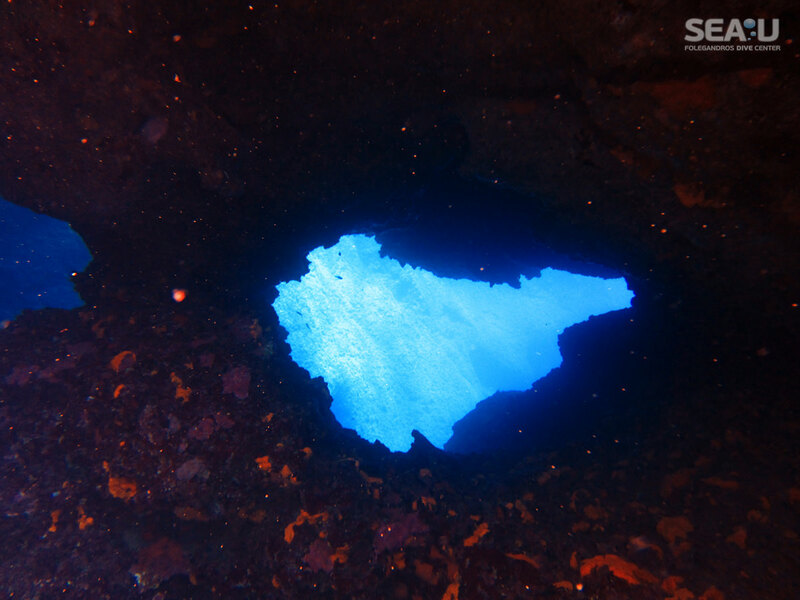 There are numerous diving spots around the island, each one distinguished by a unique feature. 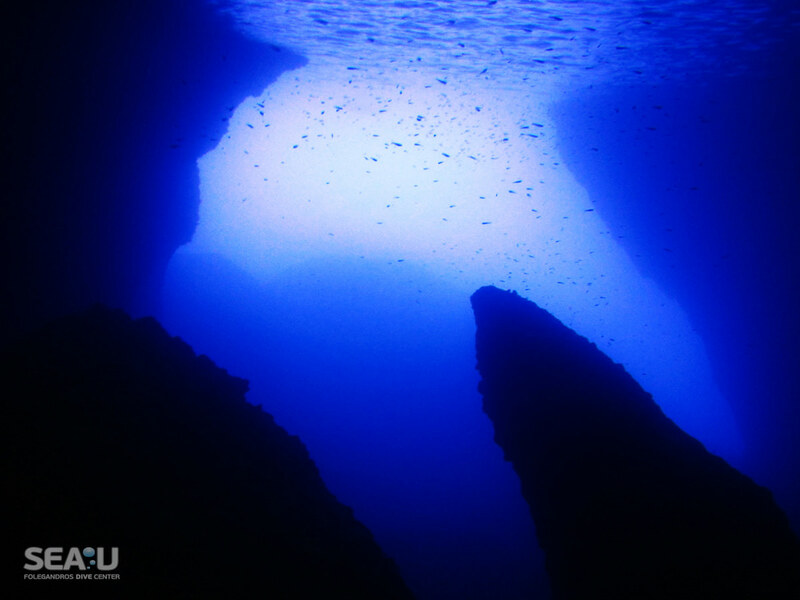 Daily diving trips are arranged with the inflatable diving boat for certified scuba divers and free divers. 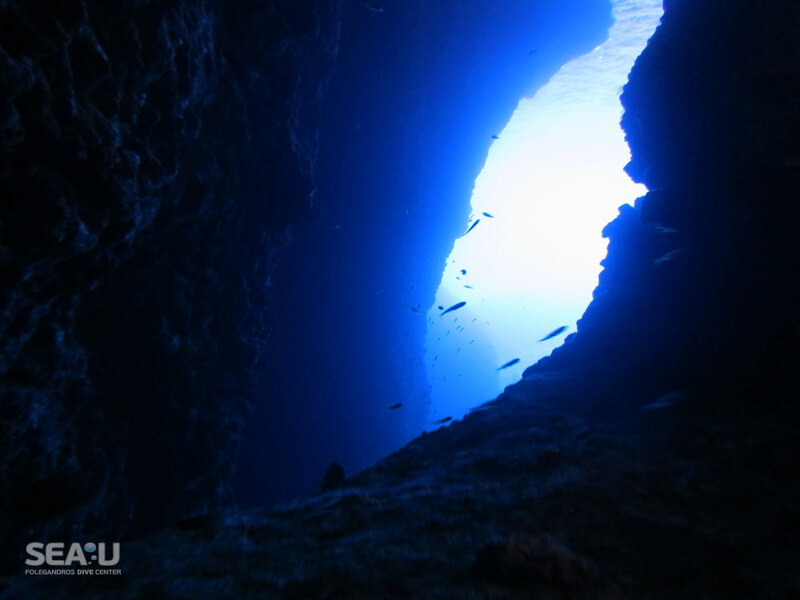 SEA-U Dive Center is certified by PADI diving organization and follows all the international standards for providing high quality services that will make your dive an unforgettable experience. 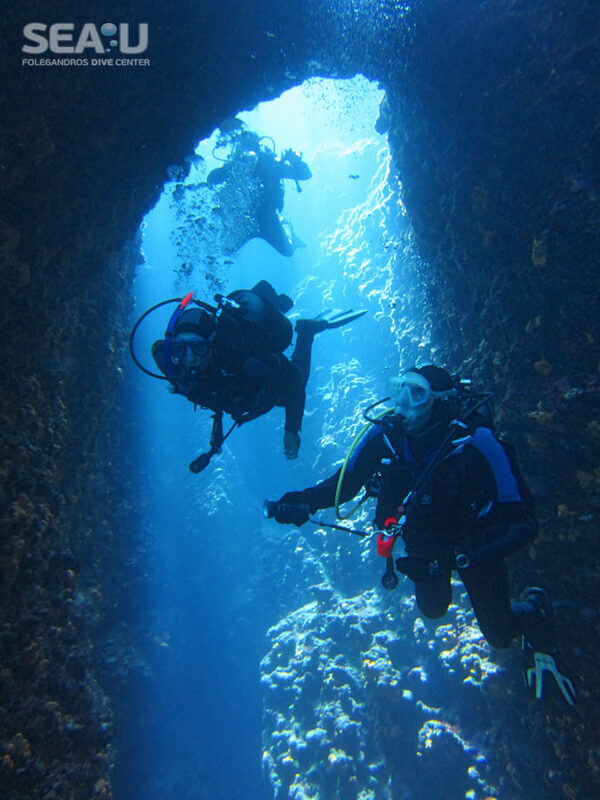 The boat is equipped with all the necessary safety equipment and the Divemaster who accompanies you are certified in first aid and lifeguard.